Wonderful new conference in Copenhagen, organized by excellent hosts Kenneth and Daniel. 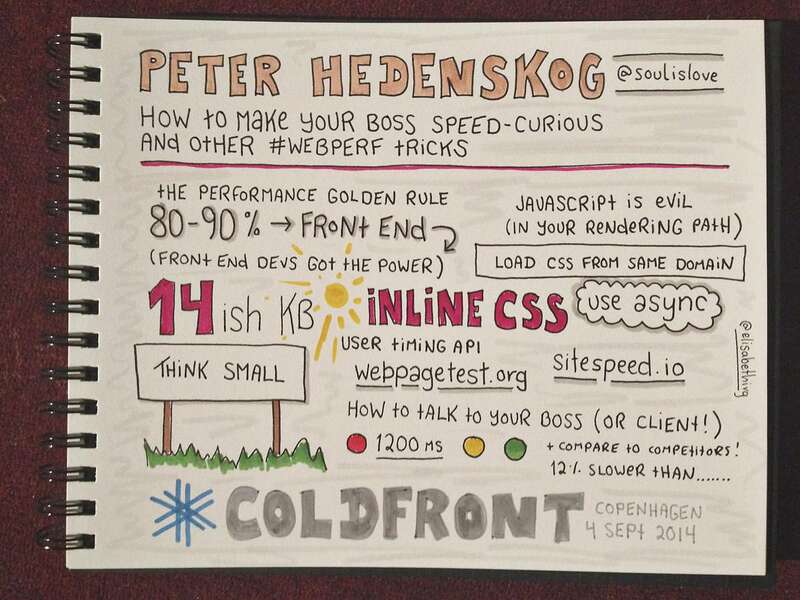 ColdFront was a great opportunity to learn, get new perspectives and meet interesting people. The venue was a grand old cinema, so the background for my sketchbook this time is a carpet in #8b0000. 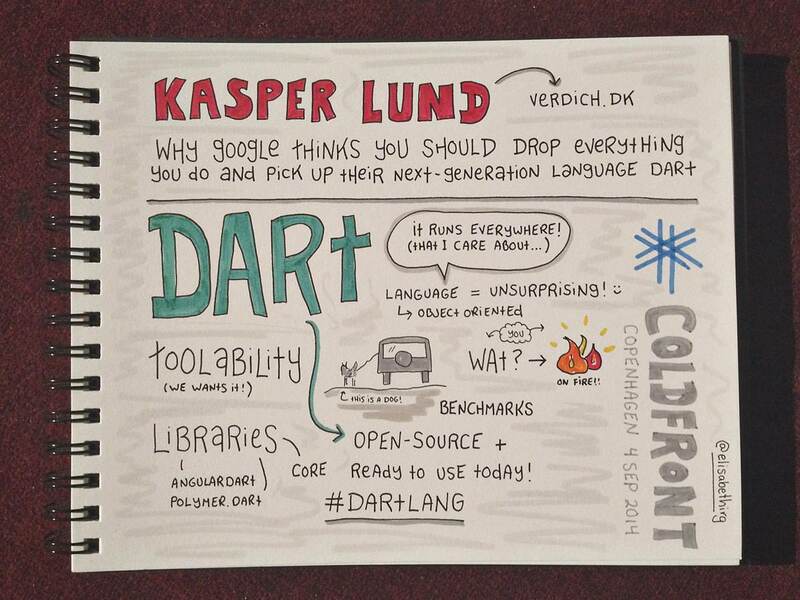 Kasper Lund works at Google and kicked off the first Coldfront with a talk about Dart: the language, tools and libraries. 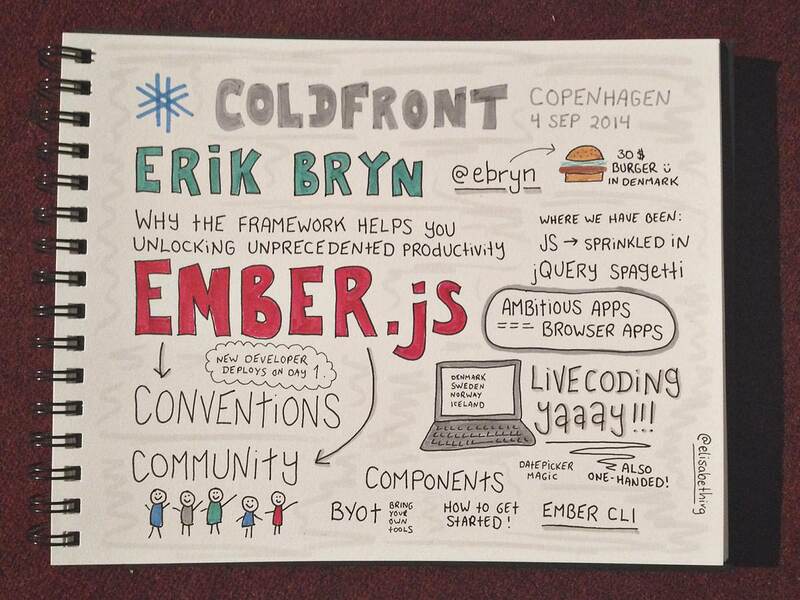 Erik Bryn talked about the framework Ember.js and how it will increase productivity on your (ambitious!) web app projects. 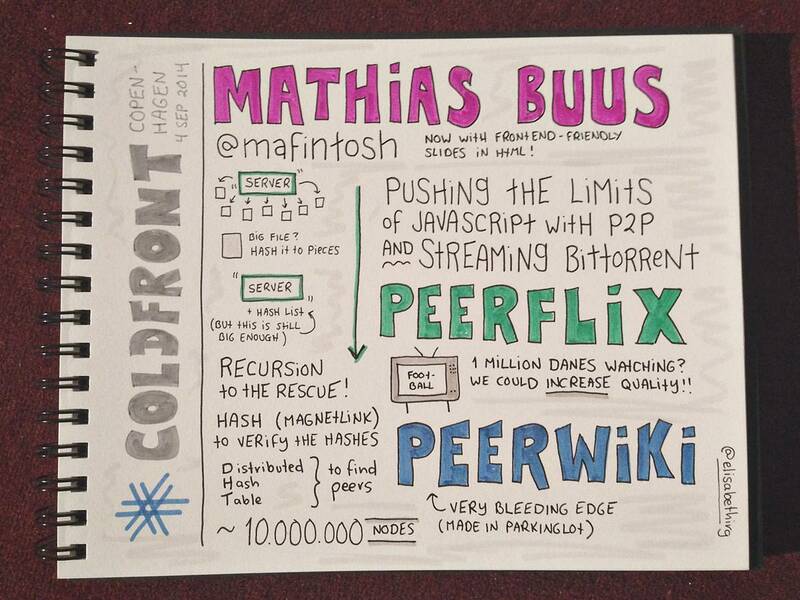 Mathias Buus thrilled the audience with streaming BitTorrent. 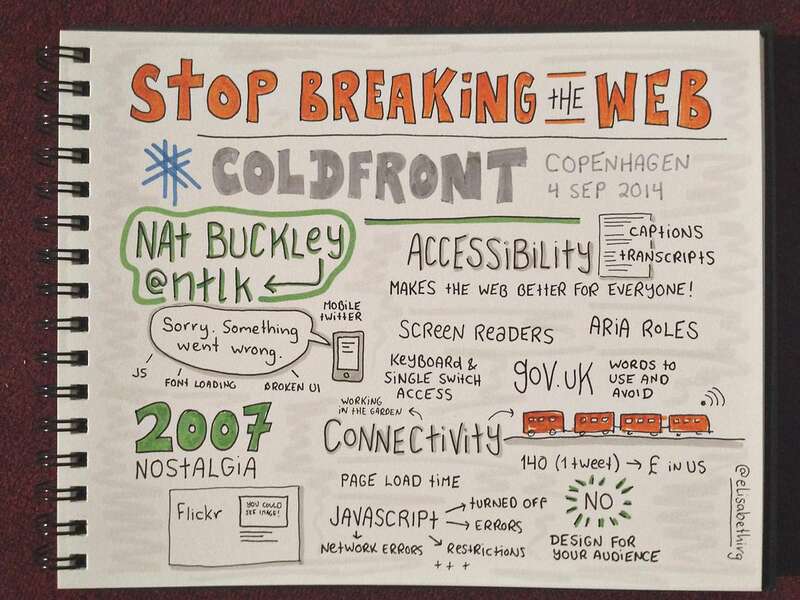 Nat Buckley urged us to stop breaking the web and shared important stuff about accessibility. 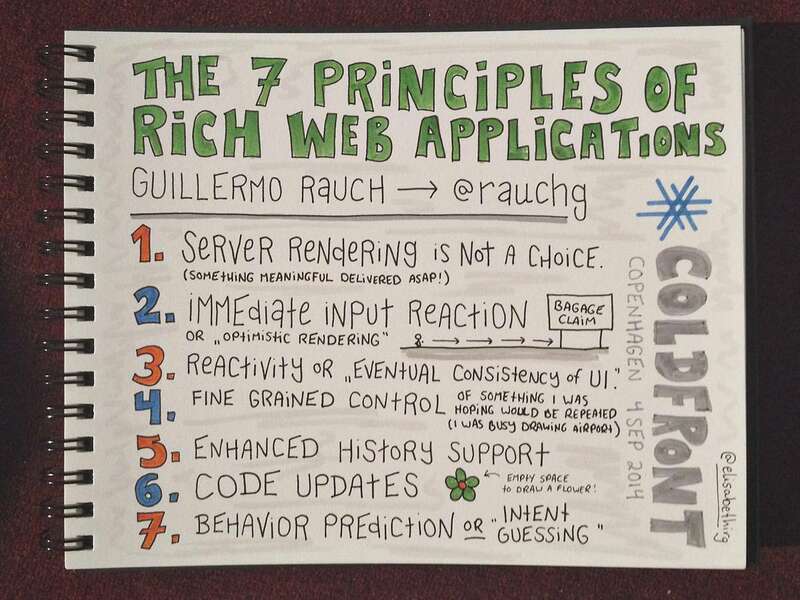 Guillermo Rauch gave us 7 principles for rich web applications. 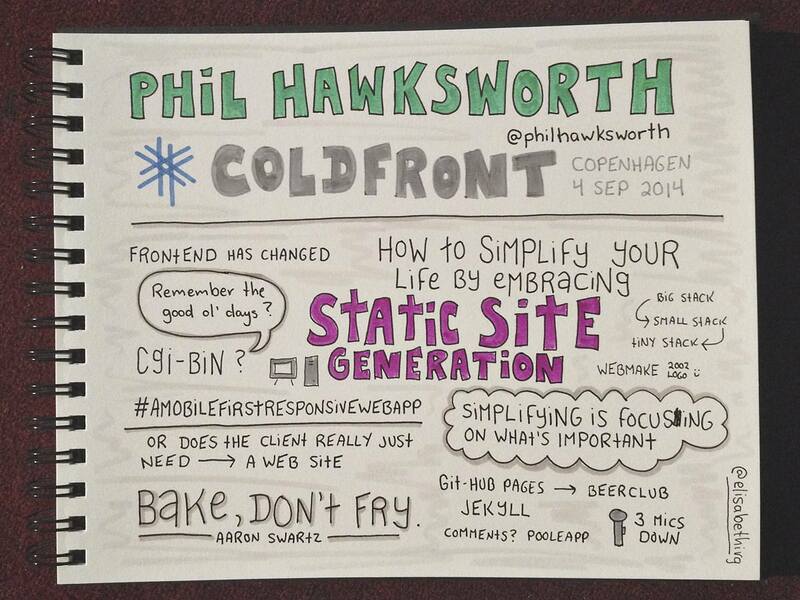 Peter Hedenskog shared a great talk with ways to increase site performance and how to convince others to care. 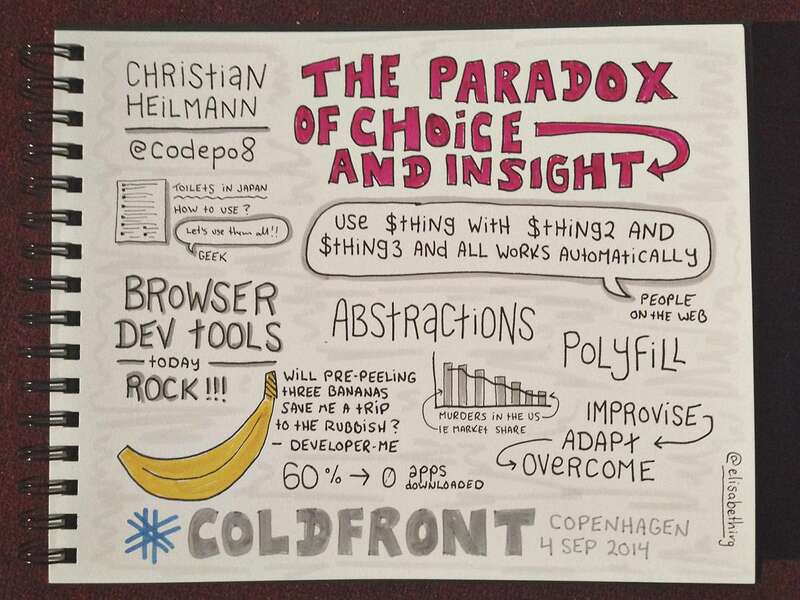 Christian Heilmann held the last talk of the day and sent us all off to continue building the internet.